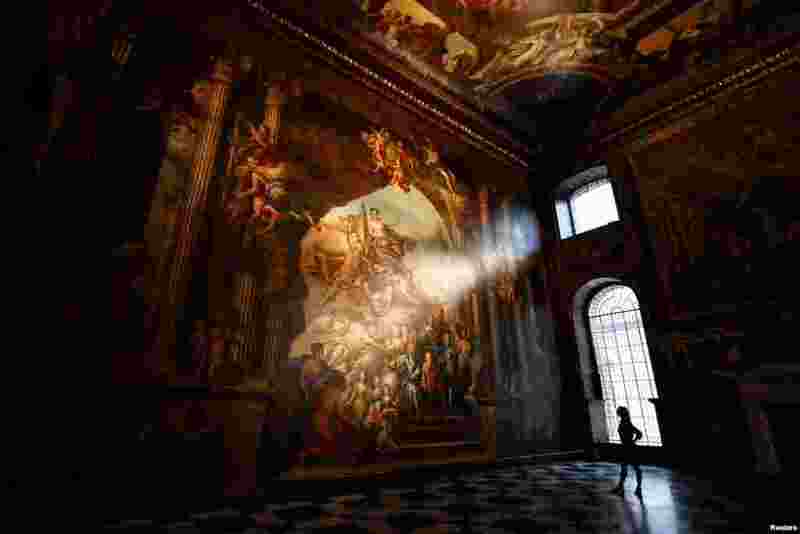 ١ A gallery assistant poses beside a fresco during the reopening of The Painted Hall, Old Royal Navy College in London, Britain. 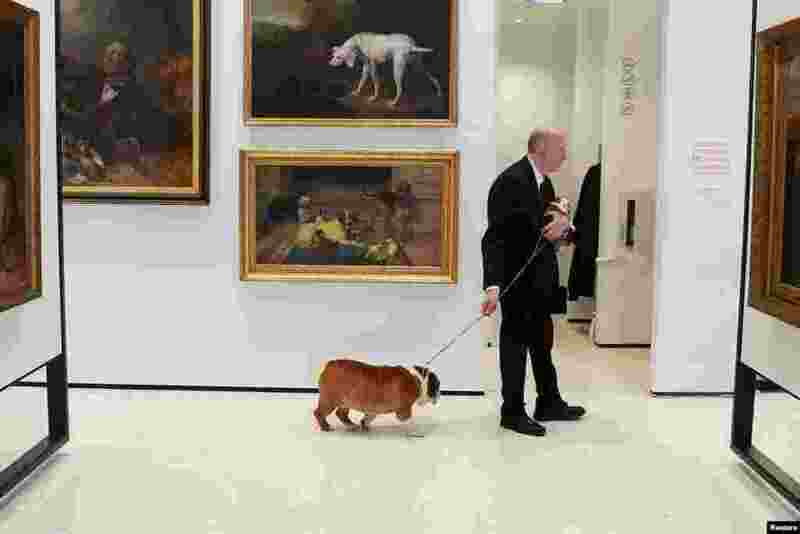 ٢ Peter Festa is pictured with his bulldogs at the American Kennel Club's Museum of the Dog during an unveiling of the clubs' most popular breeds in New York, New York. 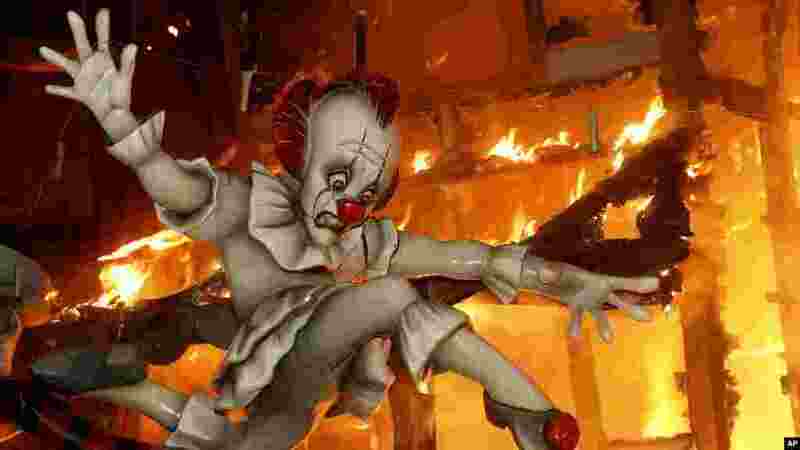 ٣ A falla ninot burns during the traditional Fallas festival in Valencia, Spain. 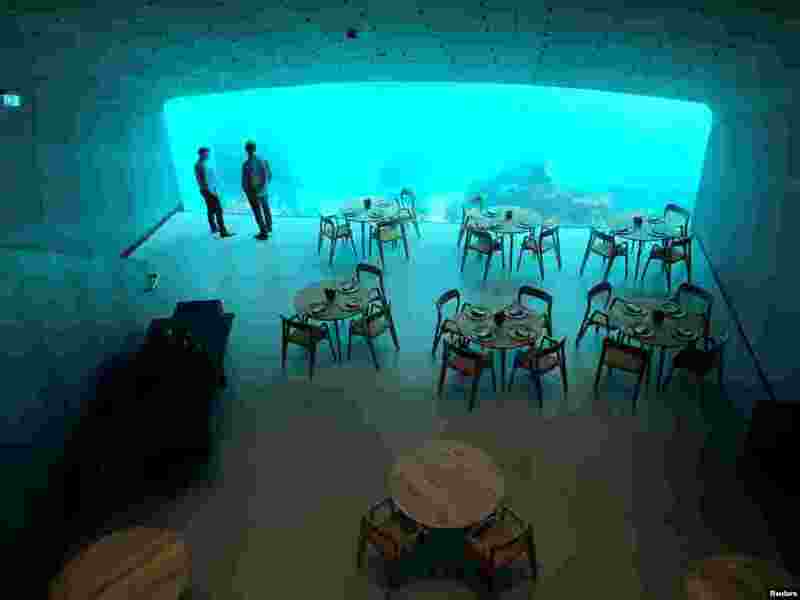 ٤ An inside view of the underwater restaurant Under in Baaly, Norway, March 19, 2019.